53.153/0 Jemima Puddle D Christmas Bauble (My first Christmas) - AM International Agencies Ltd. 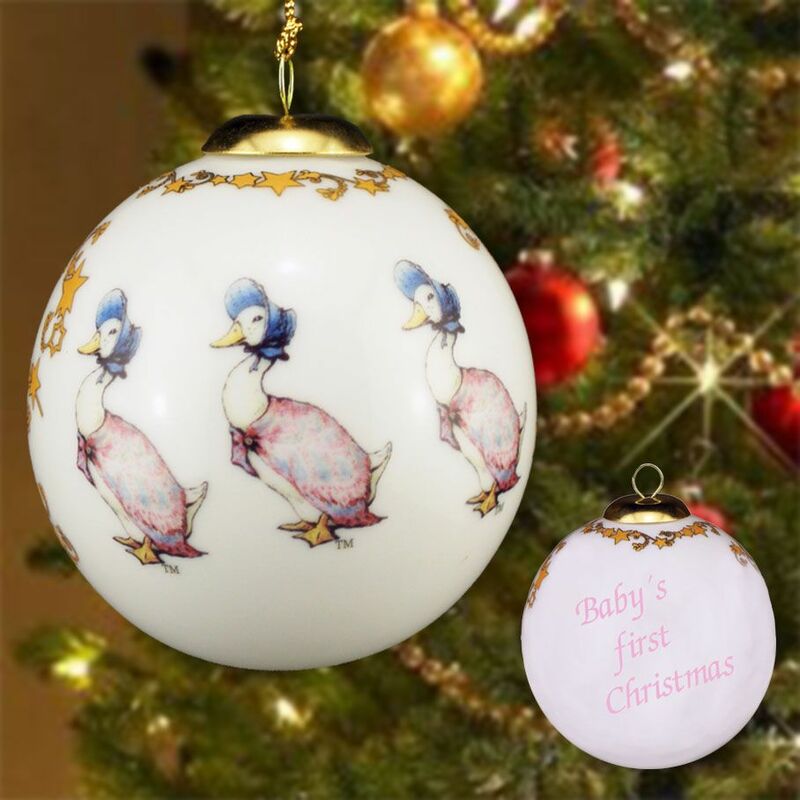 This 8 cm Christmas Bauble is designed with beautiful pictures of Jemima Puddle Duck. The perfect birthday or christening gift for children. Lovely pictures let children's heart beat faster. Writing "Baby's first Christmas" included.